We have been providing best quality products since 2002. With rich industry experience and knowledge, we are providing an excellent quality range of Pouch Sealing Machine. Our company offers a wide range of hand sealers, which are suitable for packing solids, granules and powder. Having the electronic sealing timer, these hand sealers are available in different sizes. 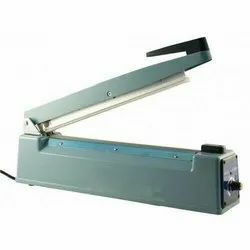 Further, our range of hand sealers are available at most competitive prices.